World of Warcraft AddOns » Stand-Alone Addons » Miscellaneous » Book! For you lore interested, "Book!" 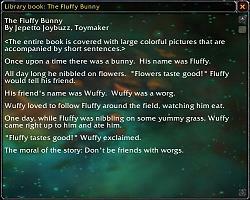 is a library of in-game books. Type "/book" to open book list, or create a macro button. At present it ships with 80 books. Enjoy classics like "The Schools of Arcane Magic", "Portals are NOT Garbage Bins! 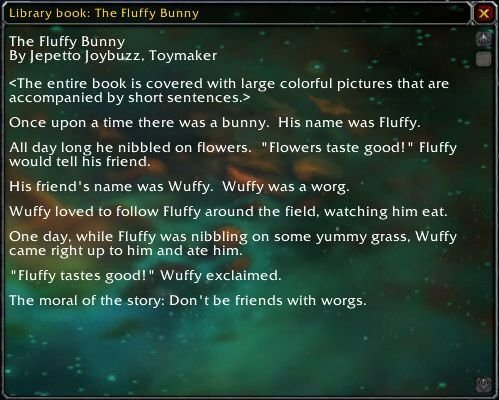 ", "The Fluffy Bunny", "Empires' Fall" and so on.